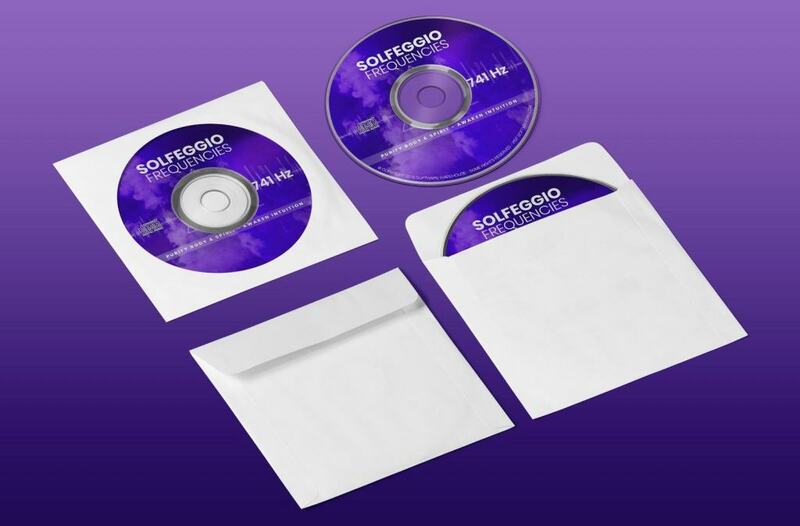 View cart “Solfeggio Frequencies – Six Solfeggio Audio CDs” has been added to your cart. 396 Hz – 417 Hz – 528 Hz – 639 Hz – 741 Hz – 852 Hz six solfeggio frequencies intermixed with a meditation audio track – the background track varies depending on the solfeggio frequency to help achieve the best listening experience for the end-user. We have chosen specific types of music and sounds to match the specific solfeggio frequency listed. When you order our audio discs you get an expertly crafted product that was partly designed by sound therapist Jonathan Watkins. 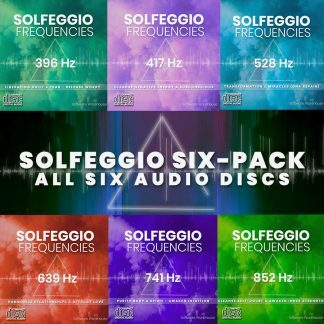 396 Hz – 417 Hz – 528 Hz – 639 Hz – 741 Hz – 852 Hz solfeggio tones intermixed with a meditation audio track – the background track varies depending on the solfeggio frequency to help achieve the best listening experience for the end-user. We have chosen specific types of music and sounds to match the specific solfeggio frequency listed. When you order our audio discs you get an expertly crafted product that was partly designed by sound therapist Jonathan Watkins. Your order includes six audio discs. Solfeggio frequencies make up the ancient 6-tone scale thought to have been used in sacred spiritual music, including the beautiful and well known Gregorian Chants. The chants and their special tones were believed to impart spiritual blessings if they were sung in harmony. Each Solfeggio tone is comprised of a frequency required to balance your energy and keep your body, mind, and spirit in perfect harmony. Although Gregorian Chants are great an all we have progressed past that type of harmonic sound, our selection of CDs imparts the most important part of this phenomenon – the Solfeggio tone frequencies themselves. Each CD we offer mixes in one of these listed frequencies below, the frequency is interwoven with more palatable music. The tone is almost impossible to hear on its own but if you listen closely it can be heard. These frequencies do not need to be listened to at high volumes and in fact, it’s discouraged, instead, the tones are meant to be heard in the background at lower volumes. 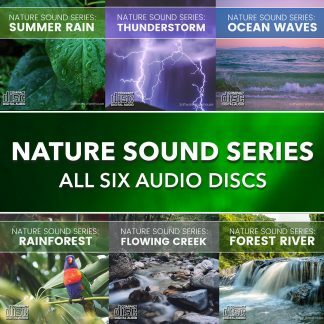 All of these CDs are made with your enjoyment and comfort level in mind, we have painstakingly created the perfect balance of music and Solfeggio binaural tones so you can enjoy them anywhere it is safe to relax. According to Professor Willi Apel, the origin of the ancient Solfeggio Scale can be traced back all the way to a Medieval hymn to John the Baptist. The hymn has this peculiarity that the first six lines of the music commenced respectively on the first six successive notes of the scale, and thus the first syllable of each line was sung to a note one degree higher that the first syllable of the line that preceded it. Because the music held a mathematic resonance, the original frequencies were capable of spiritually inspiring mankind to be more “spirit-kind”. In the mid-1970’s Dr. Joseph Puleo, a physician, and America’s leading herbalist, found six electro-magnetic sound frequencies that corresponded to the syllables from the hymn to St. John the Baptist. HOW WERE THESE FREQUENCIES DISCOVERED? According to the documentation provided in “Healing Codes for the Bioloagical Apocalypse”, Dr. Joseph Puleo was introduced, through an open vision, to the Pythagorean method of numeral reduction. Using this method, he discovered the pattern of six repeating codes in the Book of Numbers, Chapter 7, verses 12 through 83. WHY DID WE FORGET ABOUT THEM? The Solfeggio frequencies were forgotten because throughout history different tuning applications have been used. Ancient tuning practices used a system of tuning known as “Just Intonation”. The method of Just Intonation featured pure intervals between every note that were mathematically related by ratios of small whole numbers leading to a much purer sound. The tuning practice adopted for western cultures from about the 16th century and used today is known as “Twelve-Tone Equal Temperament”. According to Joachim Ernst-Berendth the 12-Tone Equal Temperament mistunes all consonant intervals except the octave. Our modern scale can create situations such ‘boxed-in’ thinking, stuffed and suppressed emotions, fear-based or lack consciousness, all of which then tend to manifest into physical symptoms called ‘dis-ease’ or disease. Our modern-day musical scale is out of sync when compared with the original Solfeggio scale. If we want to bring harmony in our lives, we need to replace the dissonant western scale with a web of subtle and clear intervallic relationships of the Solfeggio music. Let the music become once again a tool to raise human nature and a method to connect you with the source of spirit and divinity. Tune yourself back to the perfect vibrations – check out our available Solfeggio Audio CDs today! That is why these frequencies are so powerful. They can literally bring you back to the original tones of the heavenly spheres and put your body into a balanced resonance. Solfeggio music is the key to the Universe. You can either throw it away or you can use it to find healing, harmony, health and well-being in your life. I suffer from/need help with _____. Will the frequencies help me? Please understand that I cannot provide medical or psychological advice. My audio is multifunctional and may be able to help you, but it’s not a “miracle cure”. Please DO NOT replace your prescribed medication or any other form of treatment without first consulting your physician. If you decide to try out the frequencies, please contact your medical professional and ask about sound therapy. Although the changes begin to take place in the first session, they may be subtle and increasingly noticeable over the following weeks. Generally speaking, you should experience the healing benefits after a period of 4-6 weeks of daily listening. However, the truth is that you can notice the healing effects in your own time frame as you would with any form of regular exercise. Consistency and regular use is a must if you want permanent change results. What are your recommendations on listening to the Solfeggio tones? Different websites suggest different things. I recommend to not limit yourself on how to use the music. The only advice I would give is to listen to the frequencies daily for a period of at least 4 weeks. Of course, you can notice the changes after one day or even after 15 minutes of listening. Just find your own rhythm, listen with the intention and stay natural. Is louder better when listening to your music? No. My audio is designed to be most effective at comfortable to low volume levels. 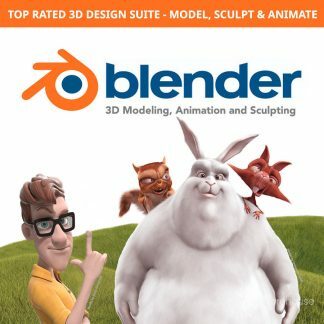 However, I recommend that you experiment with volumes to find whatever works best for you. Do I have to use headphones? If so, what kind? Headphones are required to gain the additional benefits of the frequencies embedded into the audio disc tracks. They can also give you more focus, bringing external noise and distraction down to a minimum. I personally prefer headphones over speakers. What kind? My music will work fine on most medium quality headphones and earbuds. Even the ones included with your iPhone or Android phone should suffice. 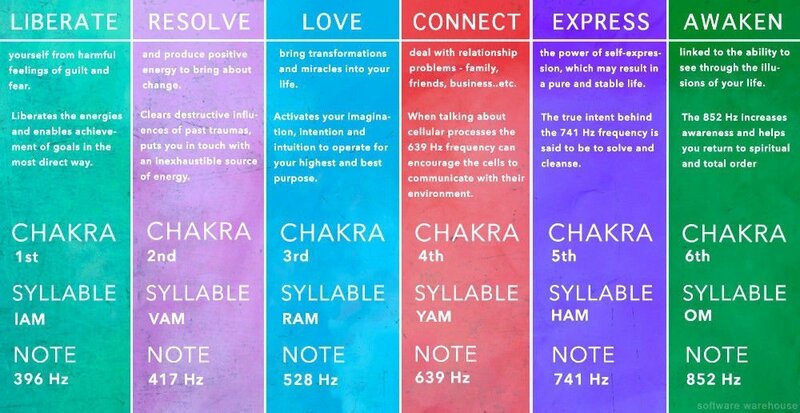 Do you know which frequency corresponds to each chakra in the body? I know from experience that healing frequencies affect the body as a whole. For example, many will use 396 Hz to clear the root chakra. The truth is that the 396 Hz will clear all chakras as will each of the tones. When is the best time to listen to these tones? It’s up to you. Really. Just one advice – it is generally better to set a specific time of day or night so your audio sessions become more routine. I listen to the healing frequencies right after waking up, during the day and just before falling asleep. But rather than following my strategy, I encourage you to experiment and do whatever works best for you. 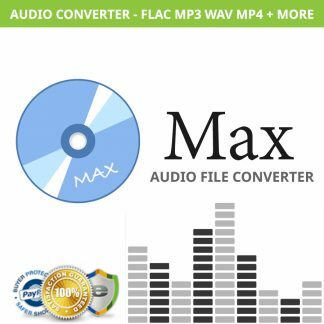 As always use this audio disc when it is safe to do so, sometimes being overly relaxed while driving or where attention is needed might be dangerous. Use at your own discretion. What happens if I don’t listen regularly? Although it is best to follow my advice for daily listening, there will be times when you are not able to do so. This is ok – you will still gain the benefits any time you listen, but permanent healing effects come with regular use. What kind of duration would you suggest with each listening, for best results? There is no limitation on how much you can listen to the pure frequencies. However, in the very early stages, some people can feel “overloaded” if they listen to more than 60 minutes at once. If you are listening to my audio discs then I would suggest limiting the sessions to 2-4 hours per day. It’s because the music is enhanced and your brain may feel a bit overloaded when exposed too long for the beats. How long do I need to listen to the frequencies in order to maintain the positive effects? The longer you continue to listen, the more permanent the changes and improvements. Of course, if you are happy with your results and do not feel a need for more extended listening, you can simply stop. You can always begin listening again anytime as needed. However, regularly playing helps to keep your body in harmony and balance. Who should not listen to your audio discs? Do not listen to these sounds while operating machinery, potentially dangerous equipment, performing potentially hazardous activities or driving. People with epilepsy should contact their medical practitioners if they wish to use the frequencies. Which tone(s) could have a potential risk to trigger an epileptic episode into a seizure? There’s no simple answer. As you know, those who suffer from epilepsy can have the condition triggered by many different things. Pulses of sound might be one of them. That is why I advise people with epilepsy or other potentially pulse sensitive conditions to contact a medical practitioner for professional advice before using these discs. Are there any side effects of using the frequencies? The side effects are nearly all positive. However, some people may feel uncomfortable while listening to the music for the very first time. It is because the healing frequencies are different tone wise compared to the modern scale. Therefore, your brain can have an extra audio mind aerobics type workout, much like lifting weights in a gym for muscle growth. If you do feel uncomfortable, simply listen at low to barely audible levels, for shorter duration or less frequently until the negative feelings subside. In the very unlikely event that you experience intense or prolonged physical or mental discomfort, please discontinue use or see a medical professional. Can your music heal brain injury (no matter how minor)? This is impossible for me to answer, as I don’t have any experience with healing brain damage. Our music exercises and relaxes the brain, which has many benefits but we do not claim that it can heal brain injuries. I’m pregnant. Is it suitable for me to listen to these harmonics before the birth of my baby? My music is unlikely to cause any problems – in fact, your baby will probably enjoy the soothing audio sessions as much as you do. However, purely as a precaution, I recommend you consult with a physician before listening to any of my audios. I’m deaf. Will the frequencies work for me? I believe you can feel the vibrations of the frequencies with the whole body. You could experiment using higher volume settings to help compensate for hearing loss. The frequencies may even work for you through bone conduction. Are your songs suitable for children? I have found no research suggesting any detrimental effects on children – only benefits. However, I would recommend not using headphones for those under 10 years. Always ensure that you use a comfortable to low volume setting. Do I have to meditate to your music? Is there a proper sitting/laying down position? You don’t have to meditate in the traditional sense of sitting cross-legged. Just find a comfortable place where you can sit or lie down. Keep the volume soft and let the music fill your body and mind. I also recommend exposing yourself to the healing frequencies during normal daily activities, for example, you can play the music softly on the CD player in the living room and read a book at the same time. Can I listen to the music during sleep? Yes. Most benefits will occur as your body and brain are still receiving the stimuli. Does your music incorporate subliminal messages? No. My songs don’t incorporate subliminal messages. I utilize various technologies including binaural beats and isochronic tones, but I never use any form of subliminal manipulation. I want to meditate deeply. What frequencies do you recommend? Any of the frequencies can be used for meditative states. Although my songs are not “instant meditation” audio products, they can be an excellent way to access and enter into the state of deep meditation. I would recommend treating my music as a training tool, rather than a replacement for meditation. After all, Zen monks don’t need any music or headphones to enter into deep meditation. 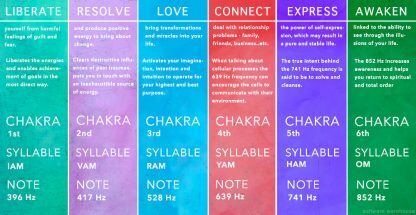 Why do you incorporate more than the six Solfeggio frequencies? The additional Solfeggio frequencies (174 Hz, 258 Hz, and 963 Hz) were rediscovered later during the research. They are also based on sacred geometry as well as the 6 main tones. Even if the 3 additional tones need more experimentation, they have their own unique benefits. That’s why I use them. It has been made very clear that high amplitude and/or unstable vibration would disrupt cell functioning. What’s your take on this disruptive force? Unlike ultrasound, which can cause tissue damage if performed incorrectly, my music employs specific overlays of the healing frequencies, all within the audible range, and poses no such risk. The frequencies are safe to use and they do not disrupt biological structures. Do any of these frequencies work with plants, and if so, which ones do you recommend? I’m aware that each plant has its own unique frequency, but I haven’t utilized my songs in the garden yet. However, I believe that the music will have only positive effects on your flowers, vegetables and fruits. I purchased your audio meditations, but I don’t see any effects. I want to return the items and receive a refund. Is it possible? I offer a money back guarantee on all products for 30 days from the purchase date. If you are not satisfied with the product, you may return it and I will give you a full refund. NO QUESTIONS ASKED. I notice that my ears hurt quite a bit when listening. Is this common? It is very rare and may be caused by listening to the music at high volume levels. I would recommend to adjust the volume to a barely audible level and use speakers instead of headphones. The frequencies will actually work best at lower volumes. You may also need to contact your physician if the problem persists. While many of the frequencies I listened to affect me in a positive manner, some are kind of irritating, but only for a second or two – any info on that? I would say that it is a part of the re-tuning process. The frequencies are tonally different to our modern music and may sometimes cause an uncomfortable feeling. This may also be a signal that the specific frequencies are “pushing” your body to re-pattern itself. Solfeggio frequencies are a scam invented by Len Horowitz. Why do you promote something that will do no good? It’s not a scam. Solfeggio frequencies need more scientific credibility, but many people from all over the world report healing and therapeutic responses to Solfeggio music. Also, as far as I know, Leonard Horowitz is not a fraudster, but a Harvard graduate, a leading expert in public health, a best-selling author and a critic of the pharmaceutical cartel. His work makes a positive difference in peoples’ lives. I utilize Solfeggio music and other audio technologies because I like to keep an open mind, as there is much to learn about the healing power of sound. Why is composing in Solfeggio frequencies so difficult? Rather than simply generating the tones, I tune each note SEPARATELY. This way you get the full Solfeggio scale and the most precise tuning. I also use high-quality tuning forks and various musical instruments (like crystal singing bowls and desk chimes) which are perfectly tuned to the healing frequencies. Add to the mix that I painstakingly match audio tracks to mask the tones in a way that is subtle and easy to listen to without jarring audio. THESE AUDIO DISCS ARE SHIPPED IN ULTRA-RIGID MAILERS WITH PADDED PROTECTION – THESE DISCS DO NOT COME WITH PLASTIC JEWEL CASES TO HELP SAVE THE ENVIRONMENT, THE DISCS ARE INSTEAD SHIPPED IN PAPER SLEEVES WITH WINDOWS. THIS HELPS SAVES THE PLANET AND ALLOWS US TO SHIP THE ITEM TO YOU FOR FREE. IF YOU WISH TO STORE YOUR DISCS IN PLASTIC JEWEL CASES CONSULT WITH YOUR LOCAL OFFICE SUPPLY STORE.